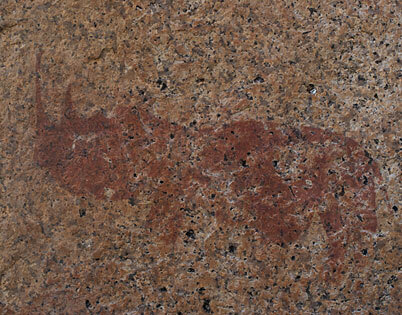 About 180 million years ago, the foundation stone was laid for the African continent. 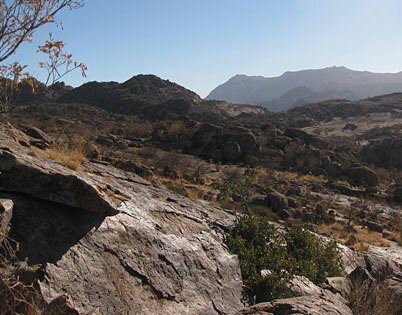 Volcanic activity initiated the break-up of the Gondwana super continent and created, among other things, this geologically highly interesting massif in central Namibia, one of the oldest in the world. 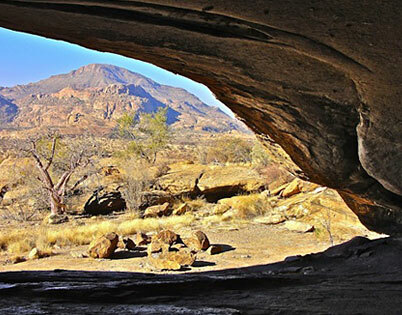 Over the last 120 million years, the ERONGO Mountains evolved into a spectacular and fascinating habitat for rare and endemic wildlife of the dry zone of south-western Africa. 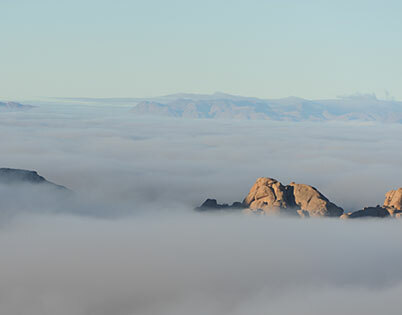 Today, the former volcano shows itself as a mountain up to 2,319 m high with eleven different pools and single large longitudinal valleys inside. 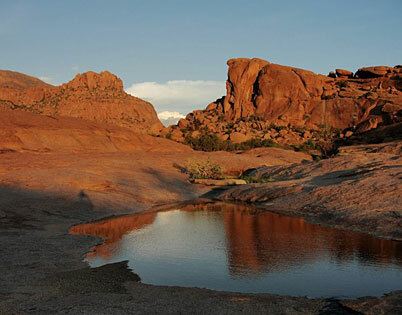 It is a sometimes very rugged landscape, which is drained by more or less large dry rivers, which unite in the northern foothills of the great Omaruru - and in the South with the Khan dry river. 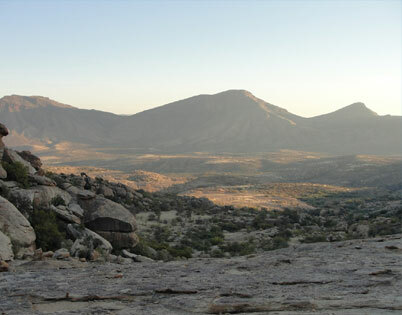 The mountains with savannah foreland, also crossed by large dry rivers with a diverse gallery forest along the shores, make a rich wildlife habitat. 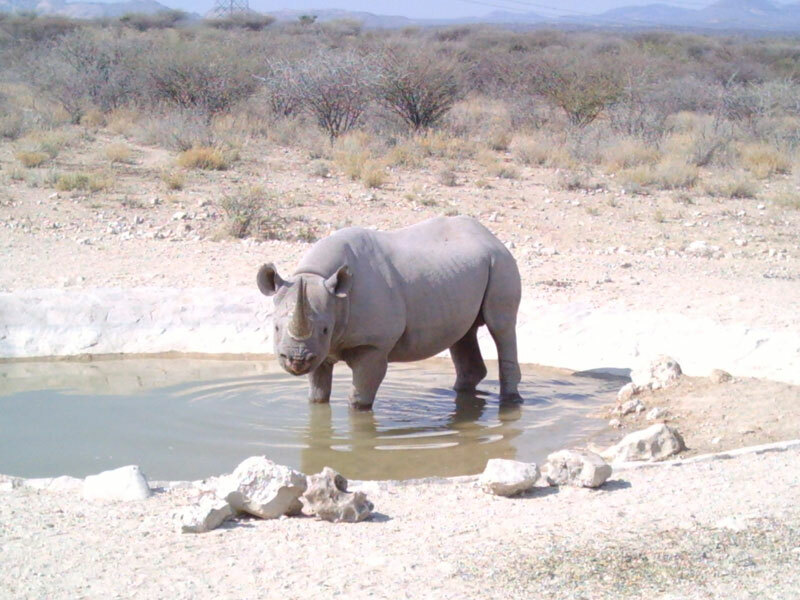 All big game species were located in the ERONGO Mountains and along the big dry rivers until the middle of the 19th century. 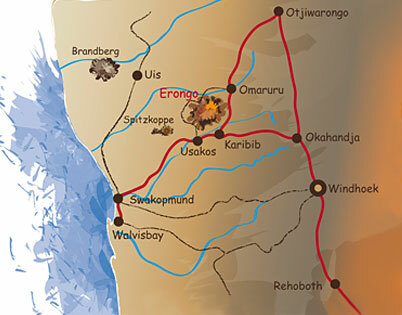 But already before the end of the 19th century, elephants and buffalos were threateningly decimated and eventually repressed to the North by the machinations of some ruthless big game hunters, who had settled in Omaruru. 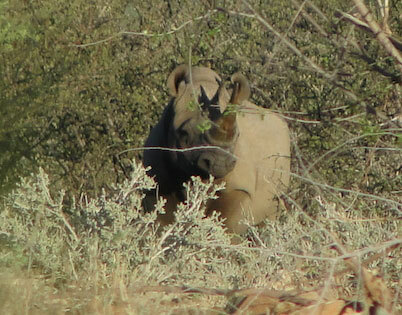 However, until 1974there were still Black Rhinos in the ERONGO Mountains. 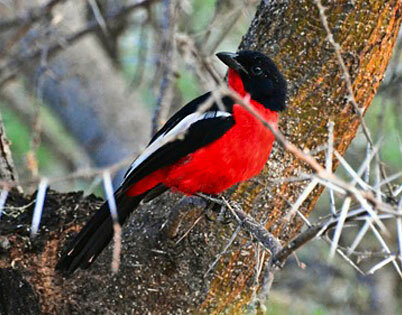 The last specimens were relocated by the nature conservation agency to the Etosha National Park. 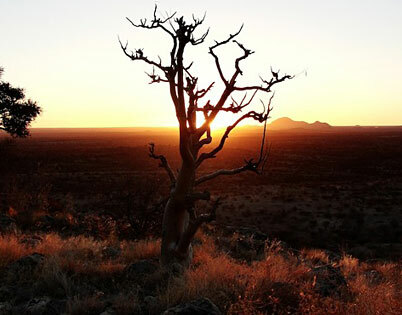 Fifteen years ago, some landowners from the ERONGO Mountains and its foothills grouped together to develop a comprehensive, private nature reserve from this spectacular area. 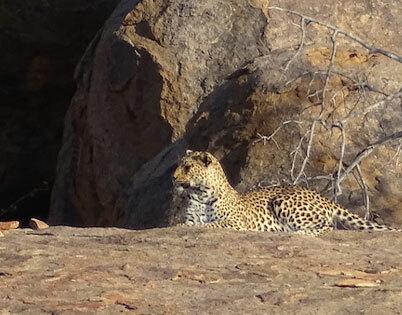 The initiators - mainly hunters - were most likely not aware at the time how difficult it would be to implement such an ideal. More than 30 landowners are not easy to reconcile and to be kept in line, when objectives can only be implemented in small steps at a time. 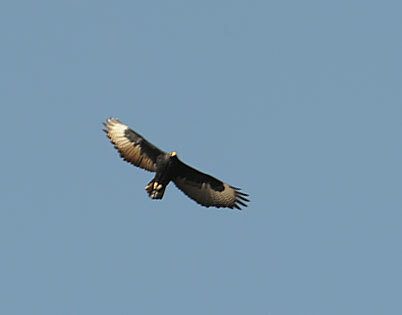 Meanwhile, considerable successes can be present. The two first stage targets, which were set 10 years ago, are implemented: Black Rhinos were reintroduced and a good population of the rare and endangered Black Noses Impala was developed. 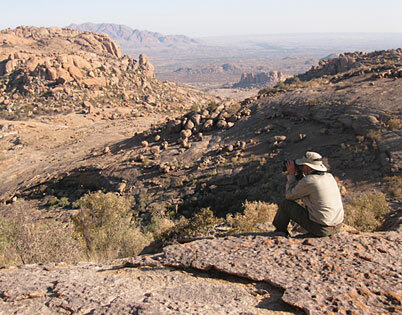 While the disappearance of original wilderness areas is almost anywhere on the African continent cause for great concern, a rugged, pristine wilderness landscape grows back here to ancient harmony. 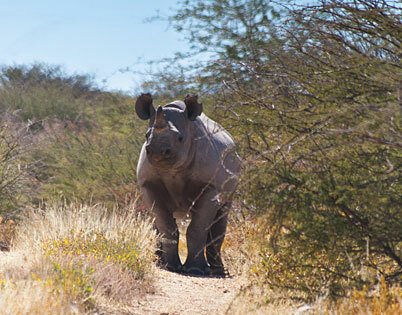 Black Rhinos once more create tracks and give birth to their calves in the vast region of the Erongo Mountain. 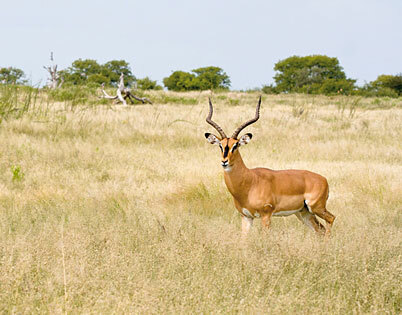 Also a good population of the rare and endangered Black noses Impala has been rebuilt. But the painstakingly achieved must also be kept. Especially Black Rhinos must be protected from poachers. 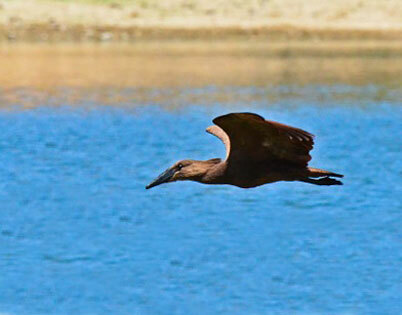 The diverse wildlife of the region is impressive and fascinating. 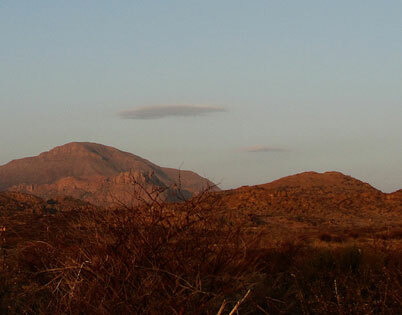 Even the elephant has returned after more than hundred years of absence to the ERONGO Mountains. 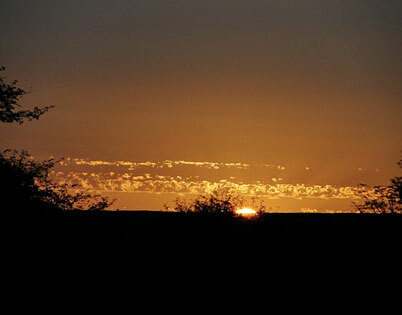 Since 2006, elefants migrate once again from the neighbouring Damaraland to the ERONGO Mountains. 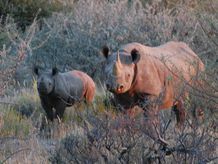 There were initially single bulls or small bull groups, who made a brief visit the area, there has not settled a small herd to the North West and has found a new home there. 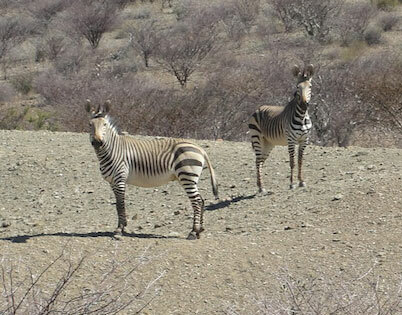 Also the endemic Hartmann Mountain Zebra occurs in the Erongo Mountain with outstanding stocks. 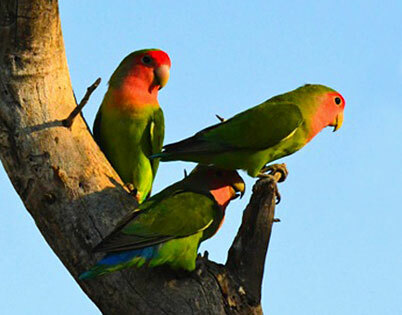 The frugal animals are mostly in small family federations from 5 to 8 animals in the abrupt slopes or rocky hilltops and migrate to the valleys in the evening to graze. The tiny Damara Dik Dik, an endemic species of antelope, mostly stays to the dense undergrowth of the gallery forests along the dry rivers or to the matted bush thickets, while the rocky mountains are an ideal habitat for the Klipspringer. 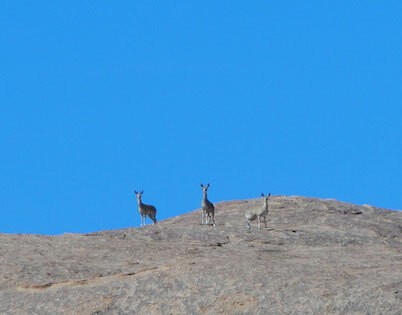 The majestic big greater Kudu is considered to be the "king of the mountains", but also as the "grey ghost" which – adapted perfectly to its environment - if at all, can be detected only with a trained eye. 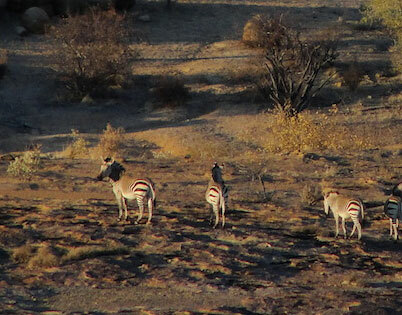 The modest Oryx and Hartmann Mountain Zebra are widely spread. 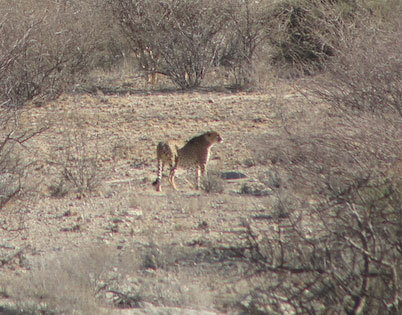 Large carnivores like the Brown Hyena, Leopard, spotted Hyena, also called Brown Hyena or beach Wolf, and the Cheetah are roaming the area. The lion has not yet settled once again. 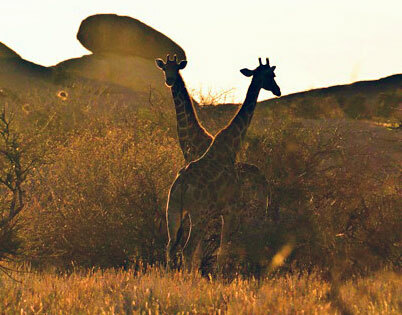 While elands find their habitats only in the north east of the area, giraffes also occur in the slightly barer South and West of the ERONGO Mountains, as well as in the foreshore.. 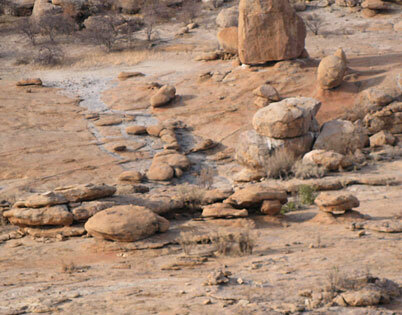 Along the dry rivers and in the valleys, Steenboks and Kronenducker find their ideal habitat.